Home / FANTASY/SCI-FI / TALK OF THE TOWN / UPCOMING MOVIES / Director Ron Howard Revealed "Solo: A Star Wars Story"
Director Ron Howard Revealed "Solo: A Star Wars Story"
A few weeks ago, director Ron Howard himself finally announced the much-anticipated title for the next "Star Wars" story after wrapping up their filming of the movie. The movie is set to tackle the story behind a familiar "Star Wars" character named, Han Solo, which formerly and famously done by the iconic Hollywood actor, Harrison Ford. 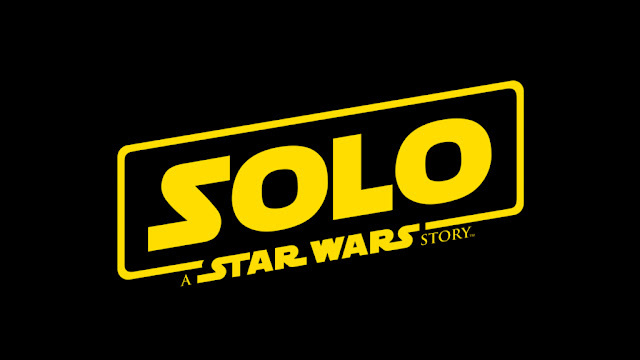 The upcoming "Star Wars" story movie, which is entitled, "Solo: A Star Wars Story", will tell the back story of the young Han Solo as he paved his way to become the scoundrel, the smuggler, the captain of the Millennium Falcon and the once a great leader of the Rebel Alliance as he was known for in the last "Star Wars" movie franchises. The standalone movie, "Solo: A Star Wars Story", is set prior to the events that happened (perhaps) during or between the Star Wars Episode 2: Attack of the Clones and Star Wars: Episode 3: Revenge of the Sith, where a young Han Solo was one of the wanderers of planet Kashyyyk. "Solo: A Star Wars Story" is made purely for the Star Wars fans out there and is slated to be for release on May 25, 2018 in Philippine cinemas, to be distributed by Walt Disney Company (Philippines). Below is the said announcement of Director Ron Howard for the much-anticipated film. Enjoy!